Teachers’ salaries ‘are being worked out wrongly’ at Mcast. 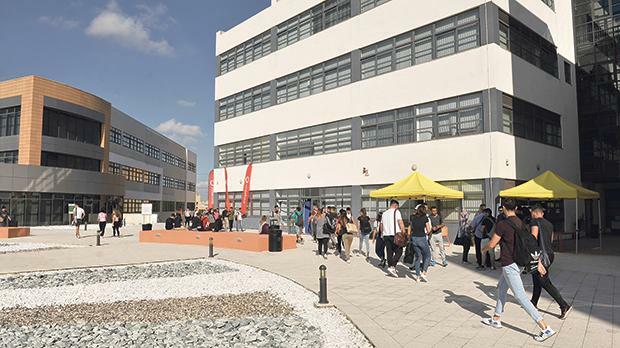 The teachers’ union has issued directives to members at the Malta College of Arts, Science and Technology, accusing it of not honouring the collective agreement signed last year. A Malta Union of Teachers spokesman said that after declaring a trade dispute in recent days, a series of directives would come into force tomorrow. “The issue concerns the salary and allowances, which are being worked out wrongly and, to date, the majority of members still have not received their correct dues. This despite the assurance from Mcast that the issues would be resolved by November,” the spokesman said. Another issue, he added, concerned the progression exercise that had yet to be initiated even though affected grades had submitted their requests several months ago. “The third issue is the Work Resources Fund, where Mcast has ignored the terms of the agreement in the issue of the refund of work resources and instead issued consent forms to members outside of the established parameters,” the spokesman went on. He noted that the list of work resources, a new mechanism that should come into force in January, had not yet been finalised. In line with the directives, members would not be communicating with management in any way, be it verbally, in writing or via e-mail, the spokesman said. They were also instructed not to participate in staff meetings and meetings with supervisors while communication with students should only take place within timetable hours. Attendance records should be withheld “indefinitely”. Assignments will not be submitted for verification and lecturers will not participate in any extracurricular activities, including graduation ceremonies, media events and institute visits. Industrial, apprenticeship and internship visits have been put on hold. An Education Ministry spokeswoman told Times of Malta efforts were ongoing to resolve the problem. Questions sent to Mcast remained unanswered at the time of writing. Mcast staff went on strike for two hours earlier this year after talks on the new collective agreement had stalled. All lecturing, learning support educators, technical and student services grades at the college had been ordered to strike.